A garden brick wall in Frittenden, near Cranbrook, Kent. This English bond wall built using reclaimed red bricks blends well with a nearby building dating back several hundred years. 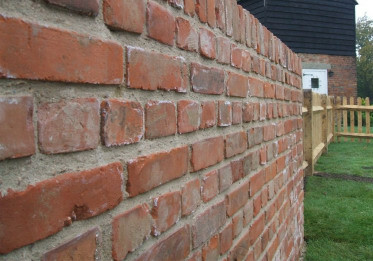 Building brick walls to compliment existing buildings and gardens.